2016 marks the 20th anniversary of Nintendo's Pokemon franchise, and they're celebrating the occasion with the release of "Pokken Tournament" on the Nintendo Wii U on March 18. Unlike most Pokemon video games, "Pokken Tournament" is a fighting game, rather than a role-playing game, incorporating elements from popular fighting games like "Tekken" and "Soulcalibur." Considering that Pokemon is the second best-selling game franchise worldwide, there's little doubt "Pokken Tournament" will be a smash hit. The "Pokken Tournament" roster features 16 characters including older Pokemon from the series, like Pikachu, Gengar and Mewtwo. Newer Pokemon like Lucario, Chandelure and Braixen are also in the game. "Pokken Tournament" appears to be simple enough to play, but there are many rules, phrases and special abilities the player must keep track of. However, the simple control scheme and sheer fun of the game will help overcome this learning curve. Nintendo launched "Pokken Tournament" in both Japan and North America this year, but the first gameplay teasers were released back in 2014. Take a look at the visceral action experience "Pokken Tournament" has to offer. The detailed, three-dimensional graphics in "Pokken Tournament" show how far the series has come from the first games, "Pokemon Red Version" and "Pokemon Blue Version," which were released on Gameboy. Nintendo launched the Pokemon franchise in 1996. 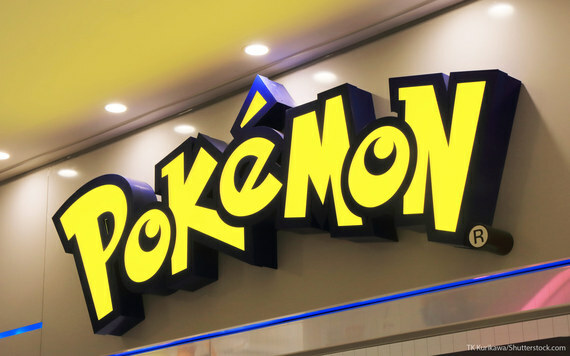 Originally available in "Red Version" and "Green Version" in Japan, Pokemon debuted in the U.S. in 1998, and the franchise's popularity exploded. The first three Pokemon games have sold 31.38 million units since their debut in 1996. As of 2015, the Pokemon franchise has sold more than 277 million video game units, earning an incredible $57.65 billion in revenue. With a franchise that includes trading cards, movies, animated shows and merchandise, Pokemon has grown into a $1.5 billion annual revenue brand, according to License Global! Pokemon has been so successful that License Global! ranked it No. 40 on their Annual Global Top 150 Licensors list, placing it ahead of big names like Lego, Activision, Sony Pictures and even NASCAR. "Pokken Tournament" isn't the only new release for Pokemon in 2016. Nintendo announced it will release two new installments of the iconic video game for the Nintendo 3DS, "Pokemon Sun" and "Pokemon Moon." No release date for the video games has been announced. The company will also be rereleasing its classic video games, "Pokemon Red," "Pokemon Blue" and "Pokemon Yellow." Pokemon also returns to television with the new animated series "Pokemon the Series: XYZ." Premiering in the U.S. on February 20, "Pokemon XYZ" marks the 19th season of the Pokemon TV series, which began airing in 1998. The new TV series has already put up some impressive numbers, ranking No. 1 in its time slot among boys aged 9 to 14 and earning 18 to 29 percent delivery gains among kids between the ages of 2 and 11. This article, 'Pokken Tournament' and Pokemon's $1.5 Billion Brand, originally appeared on GOBankingRates.com.